Under the Act to Secure the Handicapped in the Exercise of Their Rights for their academic, professional and social integration, Société des établissements de plein air du Québec (Sépaq) is committed to improving access to its documents and services for people with disabilities and to promoting universal access in its establishments. In this context, we are presenting you with our action plan and a review of our current adaptation measures for accessibility to places, information, documents and employment. Improving access to our Web site for people with disabilities is one of the actions prioritized in Sépaq’s Action Plan for People with Disabilities. Accessibility to a Web site means that it is designed so that people with disabilities or physical restrictions, whether visual, auditory, motor, cognitive, neurological or speech-related, can navigate effectively. 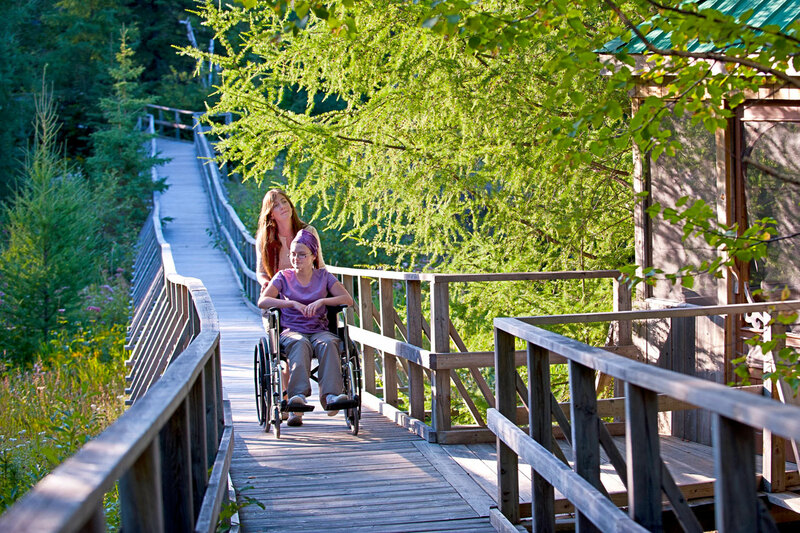 For its Web site, Sépaq is committed to the accessibility standards of the Government of Québec. They will be integrated progressively as the Web site it updated and improved. Full compliance of the site is planned. Coherent navigation and presentation in each section. Documents structured with tags and information divided into blocks to facilitate consultation. Fonts that allow easier text enlargement. The use of style sheets for uniform presentation. Significant non-textual elements (photographs, images, graphics, symbols, etc.) have a textual equivalent. The use of contrasting colours between the background and the words. The absence of flashes and sudden movements. If you are having problems navigating our Web site or if you need help with filling out a form, please don’t hesitate to contact us.